95% of the pictures this camera captures are worthless. 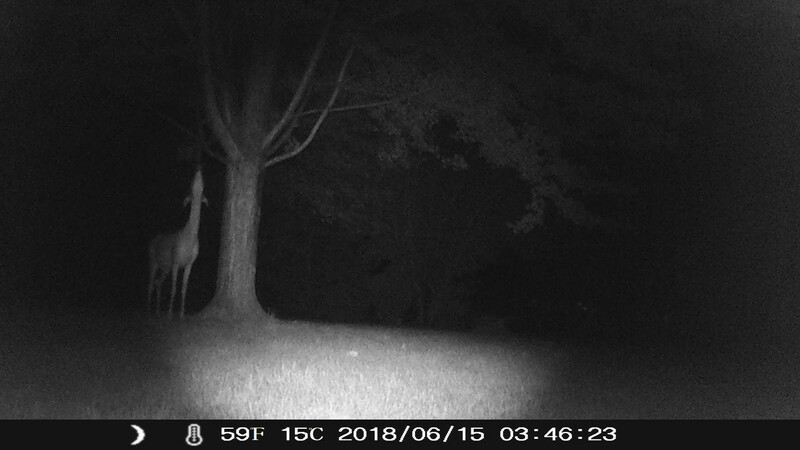 I think we've figured out who's knocking the bird feeder off of the tree. Last year, it was the red geraniums. 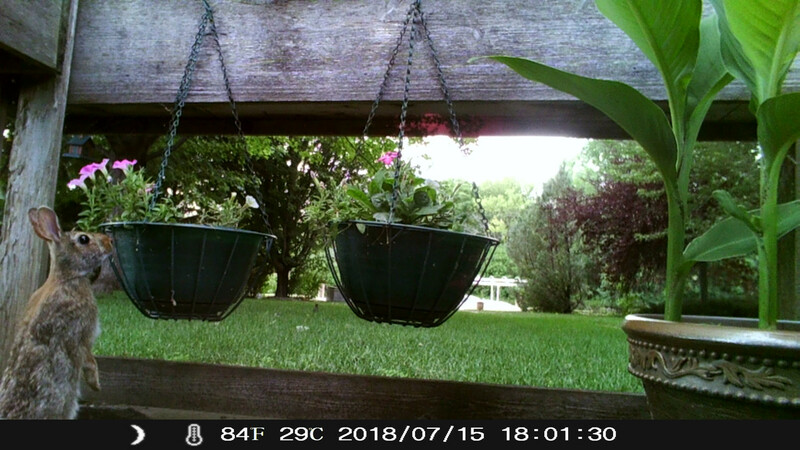 This year, it's the orange hibiscus in front of the porch that I think deer are eating. I see deer almost every day on the way to work. Between them and the young geese crossing the roads, I always have to be extra careful. SUNDAY, FUN DAY, DEER CROSSING!! From about 15 minutes ago. The babies are so tender and juicy! These are endangered Amur Leopards which are native to parts of Russia and China. The known population had dropped to just 30 in 2010. Russian President Vladimir Putin ordered that officials set up a national park where they will be protected from poachers and habitat loss. Thanks to conservation efforts on their behalf, their population has more than tripled to over 100 now. We've been trying to get a pic of a Hummingbird that flies by almost every day. 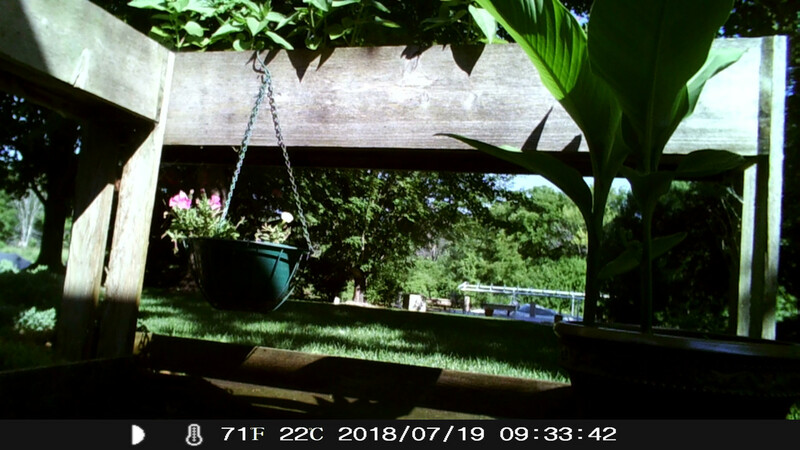 Is that a real rabbit looking for the hummingbird too? I think the rabbit wants to eat the flowers. Yep, he/she is quite the camera ham...Real Rabbit, No Kidding! Oh, how cute is he/she/it? Do you feed her/him carrots? Leave them out on the porch? Awesome. They used to eat the young Hostas I transplanted, just the all green variety. Once they got established, they left them alone. 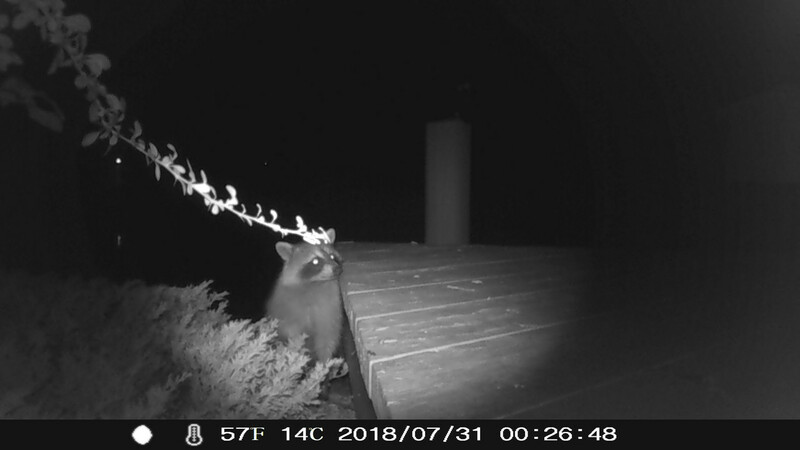 Like most of the critters, I think the rabbits go after bird seed that falls out of the bird feeders. My pet. Cheap 'pest control' who is a bit of a loudmouth and really needs a woman - scares me when he smiles at my leg. ^Oh jeez, that picture! 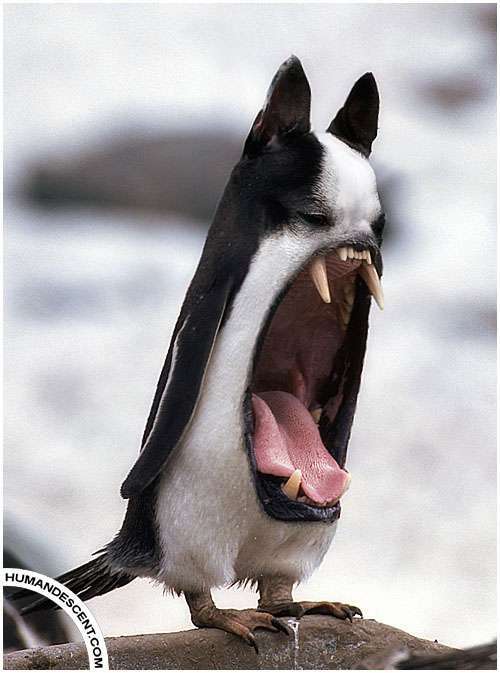 Scary and hilarious at the same time! Had a kind of bittersweet pet/animal related experience over the past few days. It all started back around early July when I saw a lost cat flyer up in my neighborhood. I took down the phone number in case I saw the cat. Fast forward to last Friday (the 13th) and I noticed a cat I'd never seen around here, that looked like the cat pictured on the flyer. I was going to take a picture of the cat as she was laying on the front porch across the street, when she just got up and walked right up to me. So I took her home and contacted the people who put up the flyer. One of them came out the next day to look, but sadly it wasn't their cat. Around this time I'm resigning myself to the idea that I've just adopted another cat, which I didn't really want to do. But she was such a sweet little thing there was no way I was going to abandon her back on the street or dump her at the humane society. Then, last night, I checked this local online neighborhood bulletin board called "NextDoor" (might be one in your area too) which has a lost & found section where a lot of people post lost and found pets, and there is a lost cat ad posted by a guy right around the corner from me, with pictures of his lost cat that was almost unmistakably the one I found. So I replied to his post that I was pretty sure I had his cat and that I'd contact him the next day. Took the cat over there this morning and the roommate who was home invited me in with the pet carrier. I opened it up and you could tell she was home and happy to be there. She went running all around from one room to the other, up the stairs and back down, etc. The guy was ecstatic, too. Later on, the owner who had been at work, posted his appreciation on the NextDoor site. It was truly satisfying to help reunite a lost pet and it's owner, but I keep thinking about the first family whose lost cat was the entire reason for me taking notice of this one. Theirs has been gone for over a month and I'm hoping she turns up soon. Strange how some things work out. You're a hero! You can still look out for the other missing cat and hopefully the happy outcome will be repeated. I've been trying to identify this bird by the sounds it makes. We have a good set of binoculars, I rarely try to get a visual ID. With the windows open, this little guy is stealing the show. Such a complicated and lengthy group of notes. He's saying "Where are all the humans at? I want to sh*t on one!!!" That's me running the high hurdles in 7th grade! About the time I messed up my right foot. 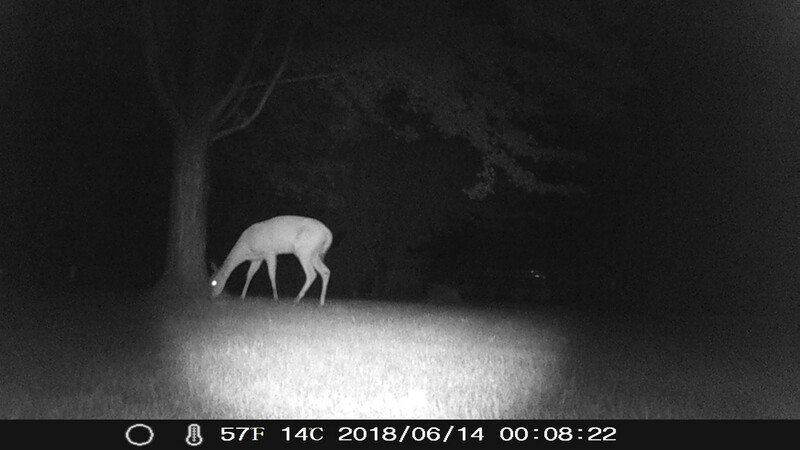 It's not the greatest picture, I imagine the shutter speed for the critter cam is not that of a professional camera. The Hummingbird! 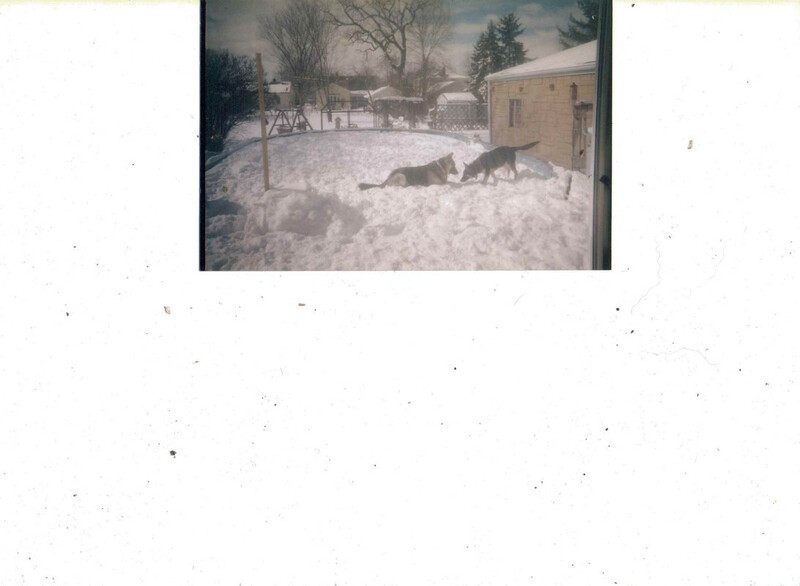 Mama found this old picture of Leah playing with her big buddy Izzy. Izzy died a few years before Leah did. Yes! Izzy was a big dog! Leah was only about 80 pounds, Izzy was 120! I think I mentioned earlier that I adopted another cat a few weeks ago. It all came about through my trying to help a couple find their lost cat. Anyway, i brought him home thinking I might have big problems keeping two male cats who didn't grow up together in the same house. I'm happy to report that they are getting along better than I expected. They aren't close buddies but there haven't been any major fur-flying fights either. They mostly stay away from each other, though my first cat Fidget will chase him a little and f**k with him some. But Fidgie has also approached the new guy (Brownie) a couple of times and licked his head. I guess that's good stuff in the cat world.